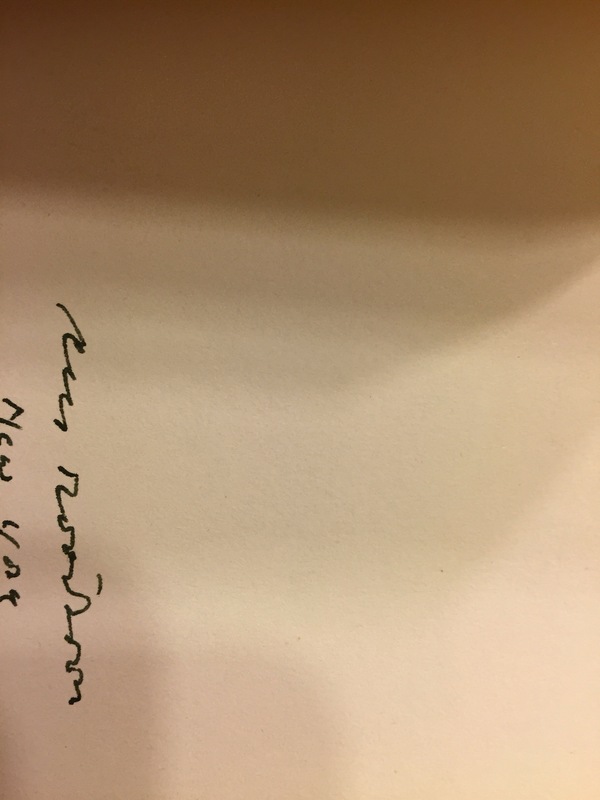 Little is written about the Dutch writer Cees Nooteboom in the U.S. This is due to many factors. First, the historical presence of the Dutch language and culture in North America is largely a memory, if it is even that. Reduced to a microscopic field in academia, the study of The Netherlands and its rich literature is relegated to a specialist’s pursuit. Second, publishers invest little in translated literary fiction. Yes, there are exceptions, reserved for established writers, yet the lack of investment is widely noted. Finally, one must admit that contemporary Dutch writers like Nooteboom are overshadowed by J.M. Coetzee, who has largely dominated the contemporary Dutch fiction scene (despite his being South African) in the global imaginary-industry. Coetzee has certainly not helped his compatriot; it is Coetzee who wrote the most well-known and damning essay, “Cees Nooteboom, Novelist and Traveller” about Nooteboom. Reviewing In the Dutch Mountains, Coetzee describes the writer as “too intelligent, too sophisticated, too urbane, to be able to commit himself to the grand illusioneering of realism, yet too little anguished by this fate – to work it [the novel] up into a tragedy of his own” (Stranger Shores 49). Coetzee proceeds to note that the “core story” of all Nooteboom’s writings is grounded in an affectless wandering. In Coetzee’s judgment, this makes Nooteboom complicit with a venal literary tourism, a view compounded by Nooteboom’s extensive travel writings. 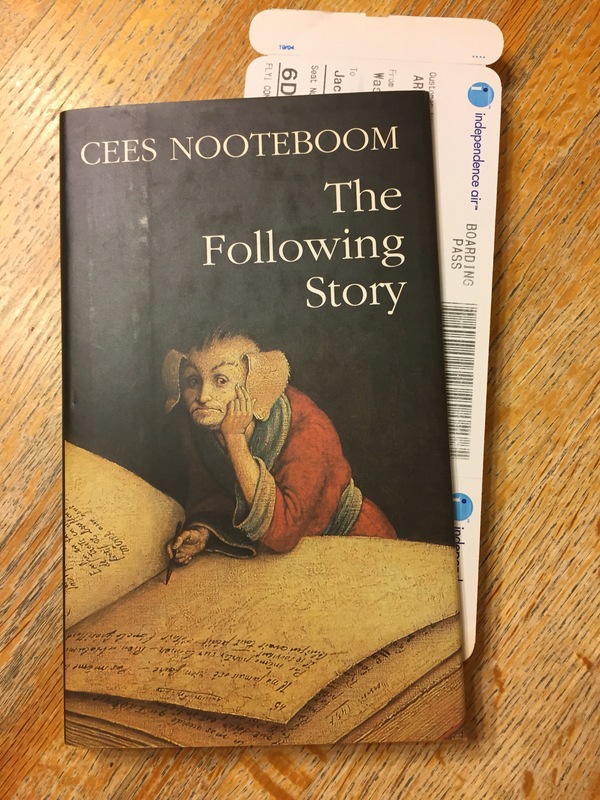 One might contest Coetzee’s view and note that, in works such as his novel The Following Story, Nooteboom succeeds in justifying the disorientation of travel as an affective literary mode. One might reply philosophically and ask “why must movement be tragic?” This is not to suggest that Coetzee’s critique of Nooteboom is without merit, but to note its inflexibility and lack of scope (what about the poetry, for instance?) Regardless, it should be noted that, aesthetic disputes aside, Coetzee did no favors for Nooteboom. Nonetheless, Nooteboom offers a conundrum: he is widely translated into English, yet little known. All of his major works are available in some translated form and although most were translated long after their original publication, they are widely available in both the American primary and secondary book markets. Major publishers such as Harcourt Brace have published his works, and it was LSU Press that issued the early translated U.S. editions of his novels. Yet Nooteboom’s works scarcely appear on the collectible market. Indeed, they are rarely offered at sale, and this is a sure sign of a lack of demand. When they are offered, the prices are generally low – further indication of a disinterested market. One might contact Dutch booksellers to inquire whether the same is true of the Dutch market (given Nooteboom’s high profile in the national post-war imaginary, it is unlikely). Furthermore, Dutch 1st editions do not appear on the U.S.market and signed, collectible copies of Noteboom translations are nearly as scarce (by contrast, foreign 1st editions of Coetzee’s books are highly sought, and prices). 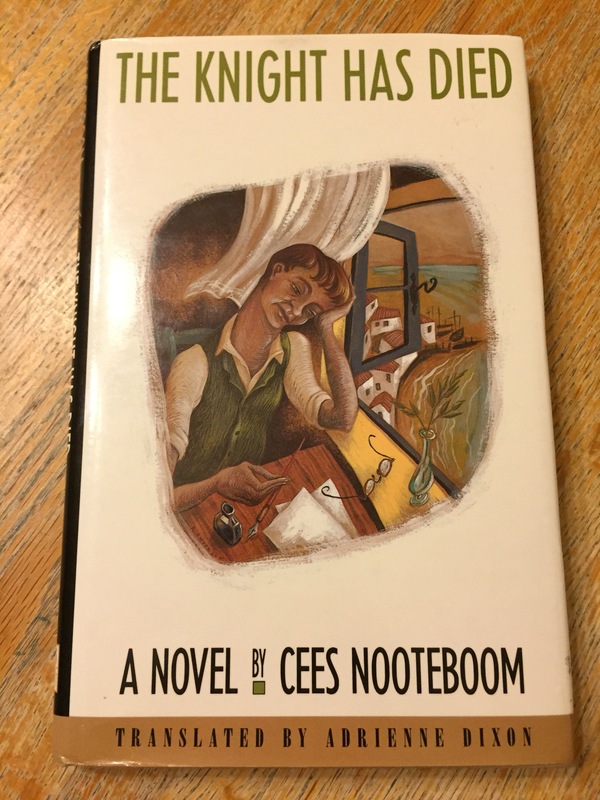 What is bad for the market is of course good for the scavenger, and I have been fortunate enough to come across several fine copies of Nooteboom’s works, including a rare signed U.S. 1st edition of The Following Story. 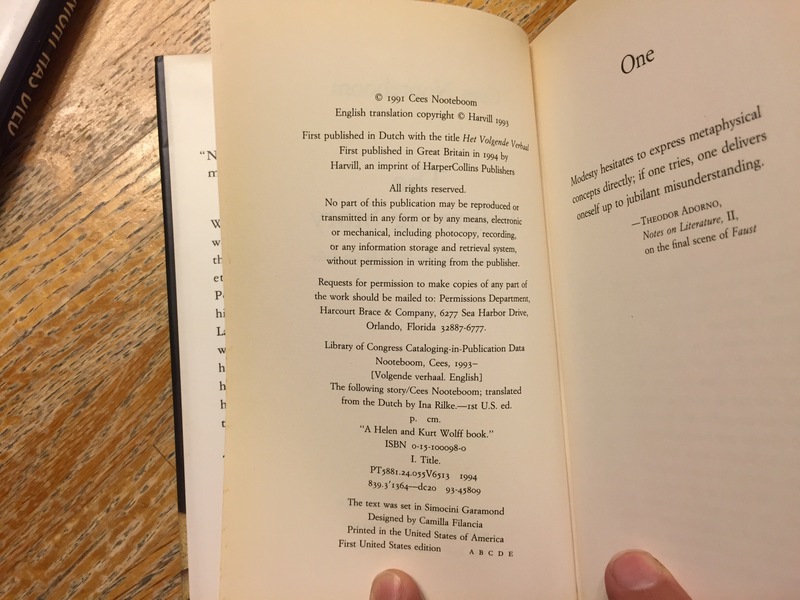 One immediately notes that, as if to confirm Coetzee’s insult, these are slim texts, designed for easy portability (in fact, the previous owner of my copy of The Following Story left her plane ticket – the literary traveler’s bookmark – in the book). Perhaps the slender form imparts to the books a disposability; after all, we treasure density, length and weight – so-called maximalist fiction has generally dominated the contemporary markets. I am averse to simple answers, and as such resist the notion that Coetzee’s damning review of Nooteboom, or the mere size of a book, or cultural amnesia regarding the Dutch legacy in the Americas, or the funding crisis for translators, are each and alone responsible for how Nooteboom’s works have been left at the altar. But I would also not wish to suggest the lack of demand indicates a lack of literary quality – it is the groom of capital who has absconded, not the bride of production. 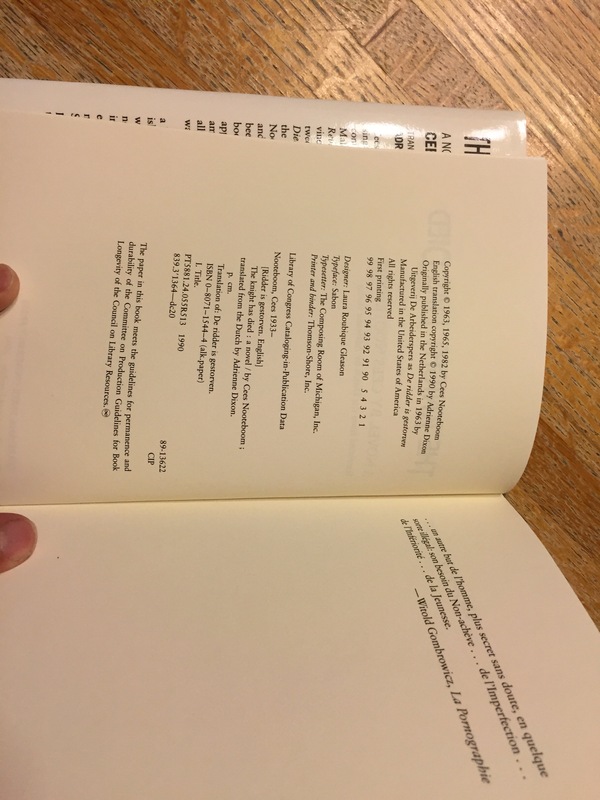 What is indicated by the awkward status of Nooteboom’s works is a lack of interest, not only in the writer but in a formulation of the necessary questions: what material forces converge to determine the exchange value of a collectible book? These forces wax and wane – no value is ever fixed, eternal – but how do some rise, and some fall? And how can the matter be studied, not only by consideration of the “great works” of established value, but also those that are renowned, yet without suitors?